Get a sneak peek at the programme! This year's theme of “Building Capacity for Change” acknowledges ongoing fundamental debates concerning the purposes and nature of universities within a shifting South African Higher Education landscape. Presenters have framed and focused their presentations to highlight the ways in which their work relates to change in approaches to teaching and learning, assessment practices, curriculum, inclusion of student voices, technology integration, or systemic change. 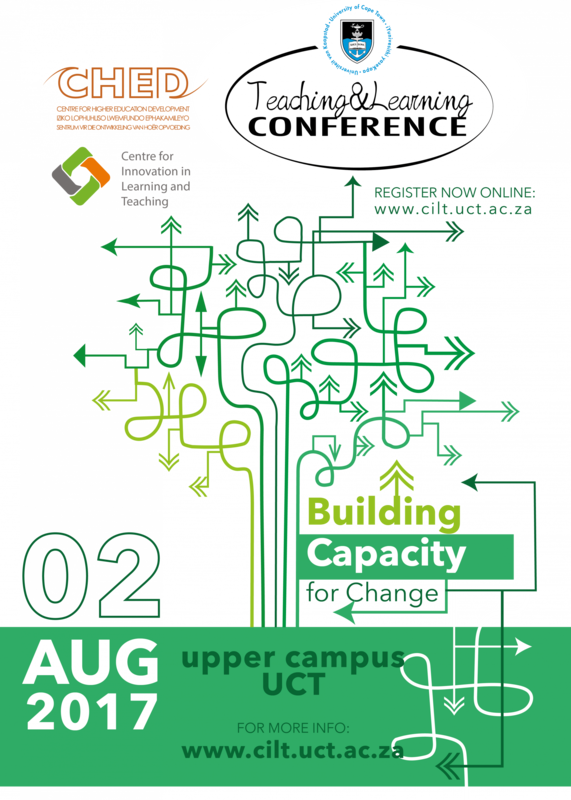 TLC2017 promises to be a dynamic and thought provoking experience involving a large, diverse network of lecturers, students, researchers, tutors, managers and support staff, so, be a part of #TLC2017UCT on 2 August 2017, and build UCT’s capacity for change. Innovative face to face and technology mediated pedagogic strategies. In order to ensure that workshop attendees have a good experience, we're limiting access to the workshops to the first 20 people who sign up. This also allows us to give our presenters some sense of who is attending their session.